Every state has different regulations, requirements and statutes regarding grandparent visitation and guardianship rights with their grandchild or children. Below are brief descriptions, roughly touching on the primary factors a court considers when determining these rights. In California a grandparent may ask the court for reasonable visitation with a grandchild. In order to do this there are several requirements which must be met. First, there must be a pre-existing relationship between the grandparent and the grandchild(ren). This means that the grandparent must have been involved one way or another in the child’s life on a regular basis usually within 6 months of bringing the complaint for visitation. Involvement in the child’s life could be such things as the child living in your home for several months or longer, taking the child to school every day for the last school year, or watching the child while the parent(s) work. The court will determine if it is in the child’s best interest in having visitation vs. the rights of the parents to make decisions about their child. Grandparents cannot file for visitation while the grandchild’s parents are married, however, there are exceptions to this rule; If the parents although still married are living separately; A parent’s whereabouts are unknown; One of the parents joins in favor of the petition for grandparent visitation; The child does not live with either of his parents; or the child has been adopted by a stepparent. If you have grandchildren whose parents are unable to care for them due to illness, or some other condition and you wish to get legal and physical custody of them you may file a petition for guardianship of a minor. If either of the parents object however, you will have to prove to the court by clear and convincing evidence that granting custody to the parent would be detrimental to the child and that granting custody to the non parent (grandparent) is necessary to serve the best interests of the child. However, if you are a grandparent seeking custody of your grand kids you must realize that the law in California creates a presumption in favor of parents who object to non-parents seeking custody. Practically speaking in order to get a custody order a grandparent has to be a “de facto” parent to the grandchild, this means the longer a child has lived with their grandparents the better chance they will have of getting custody and or guardianship of the child(ren). Finally, it is always helpful in these types of situations to have the approval of at least one of the parents otherwise it can be an uphill battle. Which state do you live in? Grandparent rights vary in every state and some states are more lenient than others. Thank you for inquiring on this blog and we look forward to hearing back from you! Keep pushing forward. Were you signed over guardianship by a judge or court authority officially for the past 2 years? Given his father has a confirmed checkered past and recently got out of prison, no judge would give him custody at this time. If you do have an order for guardianship you can use this to enforce your rights with the local police. If the harassment continues you can consider filing a restraining order against him. My name is Terry Watson and My Daughter and grandson lived in my home with her boy friend for about six months, He moved out due to disrespectful to me and my Daughter. He came back 3 days later and a fight started where he hit me in the face. I am disabled and cant fight back like that, I called the police and when they went to take him to jail I talked them into not doing it for my grandson. Now we are not allowed to see our grandson. He beat my daughter and spit in her face. He threatens her so much. Now he moved them out of state and told my daughter that if she let us see him that he would take him and she would never see him again. They were never married and she has full rights. But he threatens her so she will do what he says so she don’t loose her son. what can we do to get our rights as grandparents to see our grandson who we love so much. When I have gotten to see him he runs to me with a hug and kiss’s. What can we do. please help us figure this out. Thank you for inquiring for your daughter as a concerned mother and grandmother. Keep in mind we are not a law firm, so do not consider this or anything you read as legal advice, but general information on what can be done. In this situation your daughter should seriously consider getting away from this guy. This day in age it is very easy to get a restraining order against anyone, ever since the OJ Simpson case. I suggest that your daughter look into getting a place of her own and ask the court for sole physical and legal custody of her son. When it comes to grandparent rights, if the biological parents are involved in the child’s life, the court will want to give rights to mom and dad. Once visitation rights have been established through a court order, a grandparent can visit their grandchild during their son or daughter’s scheduled time. It is up to them on whether they allow that however. Since this situation is involving domestic violence, your daughter definitely is the one who should pursue getting her rights in order. Unfortunately, you cannot act on her behalf in family court issues. If your daughter wants to take a stand (and actual do what’s right for not just herself, but also her son) to get out of this abusive relationship and protect her parental rights, you can have her contact us. We can never force anyone to do something that they don’t want to do, even if its right, but if she is willing we’d be happy to talk with her. Where does your son live now? Why and how long has he had a protection order against him? Depending on how far he lives from his children and the reasons for the order of protection, he may be limited in asking for more visitation. However, if he has completed some sort of parenting classes it should help him look better at this time. Typically, the way grandparent rights work, if the bio father or mother are alive and involved in the lives of the children, they need to be the ones to pursue more rights. Have your son contact us as soon as he can to discuss the status of his situation. Thank you for your help in this and we look forward to hearing more. My son lives in Denver. He cannot see the children at all or their mother. The argument was in Denver when his ex-wife was out to Colorado visiting with children. No law enforcement were involved. This order is for two years with the next scheduled review in January. He has been ordered to see a Phd. Anger Management Counselor. The kids are seeing a counselor as well in Illinois. There is nothing against my husband and me. I have travel benefits working for an airline, so we have no problems with traveling to Illinois for visits. However, we have not communicated with the kids’ mother for 5 years now since the separation began. Your grand kids are fortunate to have such caring grandparents that want to spend time with them. Additionally, with more flexibility than typical family members due to your connections in the airline industry. Your son needs to make sure his next review goes well and is taking every step to be considered a fit parent. Over the years we have spoken to hundreds of grand parents that want to see their grand kids, and their son or daughter are in a similar situation as your son, working with the system to become a better person. I encourage your son to contact us when he can to discuss some options he might have. Once he is able to establish some solid visitation and get his children off the protection order, you and your husband will be able to visit the kids during his time. Typically, in restraining order situations, if a party gets a visitation order, it can override a protection order. Keep supporting your son and making an effort to help any way you can. We are talking about Illinois, not California for Grandparent Rights. Please respond back. Thank you. Hi! My grandma took guardianship of my 1 year old son and now wont let me are him. He is now 2 years old. We live in Oklahoma. Was your grandmother granted guardianship by a judge through the local court system? If so do you have any ideas why the judge made that decision? Yes, the judge granted her temporary emergency guardianship. She lied an said I was on drugs. Which I’m not and I wasn’t. If she was granted temporary guardianship by claiming that you were on drugs, the judge probably asked her for some kind of official proof. How long ago was she granted temporary? If you can show that you are not on drugs by various drug tests and have a suitable living situation that can accommodate your son, this will help you get time with him in a court order. Are you working, and able to support him financially at this time? These are all things that a court will consider when making decisions on what is in the best interest of a child. I live in SC i have had custody of my grandchildren in the past and was told because of my daughter getting her life together to give her another chance well she blew it dropped them off the first of 2012 and 9 months later pops up with the police took them and then 8 days later brought them back i am finding out that if you are not loaded no one cares about the kids… The police say there is nothing they can do the DSS workers say there is nothing they can do in the mean time my grandchildren are being torn apart we had made such progress with them and now its back to square one they are 4 and 2. It seems the system is set up to make sure all the rights of the parents are protected and even with all the evidence in the world to show otherwise it does not matter. All i need is someone to do right by my grandchildren with me or without me just what is best for them and not the parent. In most cases, if your grandchildren have lived with you for more than a year and you have been able to care for them, this can help with your situation. However most courts across the U.S. usually always look to the biological parents to care for the children. The police didn’t get involved since your daughter probably appeared to be clean or passed a drug test. You can certainly attempt to file custody of the children, but it may be difficult to be successful in court. Consult with a local attorney and see how strong of a case you have based on the circumstances. If they explain to you that you have a good chance of winning, you can contact us back and we can look into helping you with this. Attorneys provide exceptional service, but it comes at a price, often times very expensive. So review your options Angelina and let us know how you decide to proceed one way or the other. It is great that you want to spend time with your grand kids and help support your son. In this situation, since your son is able to be involved in the children’s lives, he will need to be the one to file for some type of visitation. During his visits, that is when you are able to see the children, that is typically how it works with grand parent rights. Sounds like a final judgement was made recently, usually the waiting period is 6 months after a final decision. I know this is hard and not the answer you probably wanted, however if your son was to attempt to go into court right now, he will be running into an appeal situation which is a complete uphill battle, even attorneys try to avoid taking those cases. The best thing your son should do is work on being completely presentable as a fit parent and get all his affairs in order. Hello my name is Heather Swartz,I’m a Grandmother of twins.I live in Pensacola,Florida and my family lives in Grand Junction,Colorado…my ex daughter-in-law can not be found my son is fighting DHS for his children in Mesa county Colorado . I have tried to get help/advise no one will help me. I dont have money due to the economy and i’m struggling with getting help and as far as I know I’M running out of time I have papers to fill out and mail but was told that the Social service is giving me the runaround and I so need some help. please. I am praying that someone can help me. GOD BLESS YOU. Please I so need some help. I’m at my wits end. I love my grandkids to the moon and back. Its great that you are a concerned Grandmother. It sounds like your son needs to continue to work with DHS in Colorado in order to retain custody of his kids. Most courts and states aren’t going to give custody rights to a Grandparent that lives states away. If you are looking for visitation, once your son is able to establish his rights for the kids, you should be able to see them at his residence. With the state of Colorado being involved complicates this situation greatly unfortunately. Your son should seek the help of a local attorney in Colorado with this issue. My son has been doing all he is supposed to do.BUT they have not done what they are supposed to do to reunite the family. as from what I hear through the grapevine they are already looking to adopt my grandchildren out.yes I went to visit him in August and went to court with him but was not allowed to stand up to speak, he has done everything the court has asked of him plus some he did voluntarily on his own and they would not allow him to finish. now from what was said to me that the state of colorado is all about money that is why they would not allow my son his rights. now they work with parents have levels and they never allowed him to get his final level finish and when we had a meeting with all involved his laywer said they need to do their job right and let my son have his appropet visits and never did. so now here I come wanting to see/ get my rights as a grandparent and get my grand kids here with me in florida. I’m tired of being told that I have no rights or legal leg to stand on… I KNOW THAT IS BULL I HAVE RIGHTS I KNOW.I just need someone to help me with it I am willing to move or just go there to get them. I know I can work with the socialservices here in my town for home check ups, or whatever needs to be done that is why Im struggling with this. thank you. I’m sorry I’m not mad at you I know you are just trying to help me every which way you can. Wow! Thanks for sharing about this difficult event within your family right now. Be strong! As you said, it is for the best that your grand kids are receiving the attention of the state. Depending on how much time they have spent living at your residence in the past for extended periods of time, grandparent visitation is feasible, however there are more factors than just that involved when determining a schedule. With DCHS in the picture they unfortunately call the shots right now. Once they finish counseling sessions and any other requirements approved by the local courts, it might be possible to look into some visitation. Keep us informed on this please! We’d like to attempt to help if the situation becomes less complicated. Again, thanks for your comment and looking forward to hearing back from you some time soon. Do you know about Indiana Grandparents rights ? I have been looking & looking ! Which state do you and the grandchild or grandchildren reside in? The standard parameters are different in each state, with some states being more liberal than others. Typically, a court may award visitation rights if either of the child’s parents is deceased, the child’s parents’ marriage has been terminated, or the child was born out of Wedlock. In addition to considering whether visitation is in the child’s best interest, a grandparent must show that he or she has had, or attempted to have, meaningful contact with the grandchild. adoption cuts off the visitation rights of the grandparents unless the adoption is granted to a stepparent or a natural grandparent, sibling, aunt, uncle, niece, or nephew of the child. Oh, I am not old enough to have grandchild. Just curious really ! I live in Indianapolis Indiana. Lucky guess that I sent you the terms for IN! Do you know a grandparent or grandchild that is looking to get some visitation? You can refer them to our blog or organization if you know anyone and can see what we can do. Thanks for your comments. Not at the present moment. But , in future cases, I will 🙂 Thanks for the info. Please keep in touch and I will do the same. Sometimes grandparents are denied visitation because they themselves were terrible parents. Grandparents do not have inherent rights. Generally, if a child decides that his or her parents are too dangerous to be around their grandchild, there ‘s a good reason for it. Hence, why the State always looks first, to put children in the care of their biological parents. Thanks for your comment on this. Thanks. I went through the process myself – my abusive parents tried to take my daughter from me “just because.” It was horrifying, and traumatic. As with all situations involving all sorts of domestic abuse, it was retraumatizing. I only wanted to point out that not all grandparents are victims….. Thanks for being open to sharing this past transgression you went through with your kids and parents. It has made you a stronger mother and person. 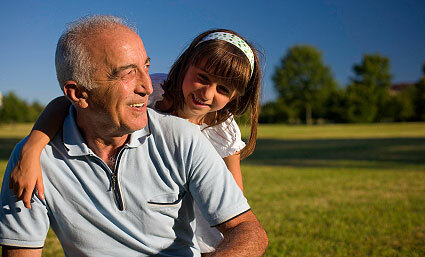 The state of Oklahoma does allow grandparents visitation on a case by case basis. These are the general guidelines for the state of Oklahoma. Typically, the definition for “an established previous relationship” means if the child has resided with the grandparent for 6 months to 1 year. The courts want to confirm that the grandparent is capable of caring and providing for the child. Hope that info is of use to you. Do you know someone who looking to get grandparent visitation rights? I need help to fight in court for coustody of my grandson please! Which state do you and your grandson reside in? Also, how long has he lived with you? Grand parents receiving custody require several different factors. My son is divorced and he has visitation rights with the kids ut she will not let him see them and does not answer his calls or emails. he is in mississippi. I also believe he is behind on child support. She lives in wisconsin. I live is pa and she use to answer my emails when asking about the children and has sent me pictures a while ago. She does not answer my emails concerning the children, or texts or phone calls. Can I petition the court for visitation with my grand children? Since your son is directly involved with his children, he is the one who has to initiate any court proceedings. Typically, with grandparent rights, when its your son’s time with the kids, that’s when you can visit them. The courts belief is if the biological parents are alive and involved with their children, it is in the children’s best interest to be with their parents. We highly encourage you to have your son contact us if he wants to see some change with this situation. Thank you for your concerns and help with this matter. That is the case for California. I would like to know what the Colorado and Illinois Grandparent rights are written. My son lives in Colorado and his exwife kids live in Illinois where jurisdiction occured, so I imagine we have to abide by Illinois law. He has a court order against him from her right now (nothing criminal) that he is fighting out there. He has unfortunately had no contact with his kids since July 30th of last year. We as grandparents cannot have any contact as well. We feel this is so totally wrong. Hi Joyce, thanks for the inquiry regarding your son’s case. We actually have several posts on tips for dealing with restraining orders in custody disputes, your son should definitely check them out. We suggest your son contact us directly if he can. As a reminder, we are not a law firm so any information you receive here or on any other affiliates of aboutthechildren should not be considered legal advice. However, what is being shared are the typical guidelines most courts follow across the U.S. In family court matters, the biological parents are the ones who need to initiate any action or responses. Their belief is its in the best interest of any children that their mother and father be responsible for the caring and raising of their kids. Once he is able to establish his visitation time, you as a grandparent will be able to visit your grand kids during his visitation. Typically, since the distance is far between your son and the mother, he probably can receive some type of holiday visitation schedule. Hope this information helps and have your son contact us if he wants to pursue further assistance with this matter. Its great that you want to be there for your grand kids and that their mother is giving you the opportunity to visit with them. We emphasize with you in your loss as well. We are not a law firm so any information provided here or from our affiliates should not be considered legal advice. That said the following is general information that is relevant to most family court situations. Since the children live in OH you will want to file for grandparent visitation there. Understand that you want as much time as your son would have had. Courts generally want the children to be living with the biological parents. Being that your son is deceased and it sounds like the children have lived with you on and off in the past, you will probably be able to receive some visitation rights. Though they will be limited since you live in WV and they are in OH. We suggest you contact a family attorney in OH about how you want to move forward in establishing grandparent visitation rights. Most people are tight on money now a days, so you will probably be able to find an attorney that will work you on payment arrangements. Hopefully this information is helpful to you and we support you through this Angela. My son passed away a short time ago, and my Grandchild had lived with me from about the age of 10 months, until the age of four and a half, off and on; mostly on. They split up, and my DIL moved in with another man, and finally decided to take my Grandchild, but left my Grandchild with me every weekend, and several days per week, then it got to every other weekend, and once a week over night, then my son died and she promised to keep it the way it was. Recently, some things have come to light about her using drugs again, she leaves my Grandchild – her child with her boyfriend who is a gang member, or the gang banger girlfriends or her addict parents. My Grandchild has started to talk to people about what goes on in the house, the drugs being smoked, the alcohol, the domestic violence, intruders, and the Mom speaks poorly of me in front of my Grandchild; who tells me how badly it makes them feel. Yesterday a “mandated reporter” contacted me, asking if I talked to my DIL and knew what was going on, then she handed me her email address, and asked me to email her with what I was aware of. I’m researching on the Internet, and trying to find a pro-bono attorney to represent me and my Grandchild as well. Thankfully, we live in the same city. I cannot imagine living in another state. If I can’t find an attorney, I will have to file on my own, as my Grandchild is in danger, OH, and the drug addict other Grandma works at Child Protective Services, and it’s such an ugly situation. Even the police have been involved, yet my DIL still has full custody and has never had to follow through with what CPS told her to do because her Step Mom works there. Pray for our situation, and if any one is willing to take on my case, please reply. By the way, I do live in California. I think I posted in the wrong place, but I want to extend my heartfelt condolences to you Angela, and wish you the best in getting visitation. my oldest granddaughter lived with me on n off since she was 2 due to being neglected n abused. Her mom not my daughter was found guilty of neglect case still pending.The state lied on paper and made me surrender my grandgirl who was only 8 at the time,I have been fighting to get her back since.She and her other 2 siblings were taken and placed in dss care in the county where her mom lived. I live in another county and my grandgirl lived here with me.The Judge was the same a few times that I had taken and asked for protection and guardianship and this Judge ordered my grandgirl each time back into the care of her mom to be further abused and neglected. The state when they took the children lied on paper and said there was no one to take them and care for them knowing I had the oldest one living with me and going to school. It has been devastating on my grandgirl and me .I have to travel to the other county each time for court and get nowhere with this judge. I feel the judge and dss are working together and it’s not about the best interest of the children but now more about getting state aid due to the economy.There was absolutely no reason why they crossed county lines to hurt my grandgirl and make her suffer so much more. They are all now with a couple in my county and the couple are being helped by dss to adopt them all. I want my granddaughter back home to the only stable loving home she has ever known and every other week when I see her;she cries and I feel the pain and heartache she is going through and they the agency and court don’t care and her spirit is being broken and it scares me . She has been through so much and all I wanted was for her to be a child and be safe,loved and cared for .this is such a sad shame and a crime against a child! I live in Sullivan Cty in NY and the case is in Orange cty NY and I want to know how to get a different Judge before it is too late. Another thing is I keep hearing the same thing over and over that I am a single parent and yes I am for 33 years now and am a respected citizen in my community who has NEVER been in any trouble or a drug abuser nor do I drink alcohol at all.I have been lied about in court with no proof and I think that they are all covering thewir butts because I stated that NO child should ever be hurt before they did something about it,CPS is a real joke to me now and Preventive service I laugh at cause when I asked the worker what they prevent She informed me that they try to educate the parent so I asked again several times and got a duh!All the workers have been removed and new ones assigned that know nothing of the truth.I have been told to hire an atty but I get a limited income and cannot afford one and the judge REFUSES to assign me one due to my limited income.How can I get an atty to represent me?Time is crucial! Please help for my grandgirls mental and physical wellbeing. This is certainly a very involved case. Any time the state gets involved it becomes more complicated. The best suggestion we can give you at this time is to call as many family attorneys as you can in your local area and see if they can work out a payment arrangement to take your case. We, unfortunately cant help in this situation due to the complexity. Its hard being on limited income. Keep asking friends and family for help and support. Due to the economy and the over abundance of attorneys, you should be able to find one that will help you out and work with you. We wish you the best of success Debra. Please review other posts on our blog as you progress through this situation, you should find the information helpful and save you time as well. My 3 grandchildren were removed 3- from there mother for criminal demostic violence…. my daughter has over the last 15 years has put her boyfriends first..this means that her children have suffered great abuse physically and mentally. if she fights with them they (CHILDREN) take the brunt of her anger. if they get in her way of her time to spend with them they get the brunt of her anger. when DSS had interviews with the children they told the story.the school reported and took photos.she has anger issues and refuses to take responsibility. she thinks it ok and her right cause she owns them to put the head of a 15 year old in to the wall to teach him a lesson. Dss has all they need to keep the children out of the home until mom gets help however the supervisior of the investigator overrode the results and put them back.My child continues to threaten her children to be silent and tells the 15 years old he will pay the price when her gets home and will beat him… I have recording showing her anger. the school had her arrested because she became violent in the school because they reported the insident with her 5 year old. WHY Is DSS SO LAZY…THE SUOERVISIOR WAS STANDING BY MOM TELLING HER THAT AFTER THE 45 DAYS SHE WOULD GET THEM BACK… DISPITE THE OUTCOME OF THE INVESTIGATION… The law states that bY the proponderence of the evidence is all that is needed and that the goal of DSS is to identify conditions that raise concerns of abuse and the health and safty,and well being of the child.. THEY BREAK THERE OWN RULES AND LAWS. We have heard similar and ridiculous decisions made by CPS or DSS supervisors in the past. The thing with the state is they become very cumbersome to deal with and to get anything resolved requires an expensive attorney to fight the case. I know its extremely hard to see your grand kids go through something this difficult with their mom who doesn’t seem to care at all about them. I would contact some family attorneys in your county that provide limited pro bono services. Well known law firms usually provide a certain number of given hours for free per year as tax ride-offs. Given what you have already stated, and can provide verifiable proof, I’m sure there are some family attorneys out there who would be interested in helping you without charging their normal retainer or hourly rates. This may not have been the response you were looking for, but hopefully it eases your mind a bit and points you in the right direction. Best of success to you Jodi, and feel free to review other articles here discussing how to go about dealing with related issues successfully. Great questions about your rights. Keep in mind we are not a law firm so we cant give you any legal advice, however we can provide you with general information. If you can prove that you raised, cared, and brought your grandson up for 2 years, this can help you. Items such as Dr notes and school records of that nature. Typically, with grandparent rights, when it is the bio mom or bio dads visitation time, this is when a grandparent is able to see the child as well. What is the status of your daughter in your situation? Is she in the picture, does she have or want to have rights of her son? If she is completely out of the picture at this time, and you can prove that he was living with you for 2 years of his life, you may have a chance at getting some visitation rights. I just had a boy a couple months ago and his last name is the same as his fathers. we are currently engaged and wanting to get married later this year but are willing to do a courthouse wedding very soon if necessary. my parents have had issues with my fiancé they just don’t like him for various reasons but now they are having issues with some of our parenting choices. I was wanting to know if my parents had any legal rights to my son since we are not legally married. I also wanted to know if my fiancé’s parents had any rights to him as well. we live in Missouri. thank you. Most of the time grandparents have absolutely zero rights to their grand kids. With yourself and your fiance fully engaged with raising your child together and are soon to be wed, you don’t have to worry about yours or your fiance’s parents getting involved with your parenting methods. Hope that helps clarify things for you. I had a beautiful daughter who passed away about a year and a half ago. She had 3 boys with her first husband, and 2 children by the man she was married to at the time of her death. Before we lost her, we saw all the kids often, sometimes daily, and took family vacations together. Since her passing, her first husband has let us see the boys whenever we or they wanted, when he recently ran into a situation he gave us guardianship of the boys although he is still very involved with them. After much fighting, we were finally able to see the little ones, about every other weekend, same time as their brothers were here so they could all be together. He began switching up weekends, or would want them part of the time we had them, etc. Would not allow us to change weekends though. He now has a new girlfriend, whom they call mom, and will not allow us nor their brothers to see them. He will say we can, but when we go to get them no one is home, or say he will drop them off and doesn’t. He now says the kids do not need us or their brothers in their life. We are heartbroken. We all live in Illinois, he is less than 10 miles from us. What can we do? I might add, he is a very controlling alcoholic and it is not possible to reason with him. Its a difficult situation, I know. You mentioned that he gave you guardianship a while back. Did you actually go to court for this and is it signed by a judge or did he just say you have guardianship and there was no formal signing? If truly have guardianship, we can try and help you enforce it. Otherwise, you might have a chance at getting some court ordered grandparent visitation rights. What state do you and your grand kids live in? Remember Deb, that we’re not a law firm, however the information I just mentioned is general information available to the public and relevant to situations similar to yours. Thanks for being a concerned grandmother. This situation is quite complicated due to the issues involved. I understand the injustice that you feel in the outcome of the other grandparent. Honestly your best bet in getting a change here is to hire an experience family attorney to talk on your behalf. This is beyond the kind of situation we can assist with due to the circumstances. If you can’t afford an attorney you can also consult with a Family Court Facilitator in your local family court house and see how they can help. Maybe some firms are willing to do some pro bono work for you as a tax ride off. This is probably not the answer you were hoping for, but this situation is very complex and we certainly hope for the best. You have a chance, but you will need some experience behind you. My granddaughter has been living with me n my husband for a year and six mths. Her mother,my daughter is in Georgia right now in county jail. Felony probation violation. It was drug charges before her daughter was conceived. My granddaughter just turned two. She and her mother came to live with us at. Three mths old. My daughter would not get up to take care of baby,it was a bad situation. Our family was concerned about the kind of care my daughter was giving her child. She could not get along with me or anyone in household. My mother took her in,we wanted baby to stay with us while she got herself together,she took baby with her. Within two mths my husband and I went to get granddaughter and again my daughter had to go somewhere else. She could not get along with my mother. She stayed in a hotel we paid for for a mth or two. She has lived with friends,motels and other places. Her and the babies father are still married, they are on and off. He has not held a job since baby was born,my husband and the state are the ones who have provided for baby since day one and while with us did not need state help. My daughter has spent more time being with her husband than with child. Husband told her and family that he was not ready to be a dad when baby was three mths, one reason my daughter and baby came to live with us. Mother nor father has paid for food,clothing,medical or toys since baby was born,my husband has and he has given baby so much,we both love her dearly. We want what is best for our granddaughter. My daughter gets out of jail in three weeks and her and husband have decided they want to come get their daughter, take her and live with his mother,they will look for a job. My granddaughter will be in NC, we are in In. This has been her home, She has never been there,She doesn’t know her dad’s family. My daughter has mental issues. She is 21, at 18 She should of had phsyc evaluation, She didn’t. She has never been alone with her child for even a day. She doesn’t know how to take care of her. I am soon scared for my granddaughter. None of this is fair to her,she’s just a baby,we are scared my daughter will lose her temper with her. I want my daughter to get the help She needs,the tools She needs to be a mother to her. My granddaughter knows me and her grandfather, we have been the stable in her life. I don’t know which direction to go in to keep our granddaughter safe and with us. My heart aches and I can’t let her down. It’s hard because this is My daughter’s daughter and as a mother, I know in my gut my granddaughter is not safe with MY own daughter. Please, if you can reply to me soon, I’m running out of time. It really is. About the children. Any advice,direction you can point me in. Thank you soon much. Thank you for writing about your situation. Its really good that your granddaughter has been living with you for the last year and a half. This has allowed you to develop a relationship with her. We definitely will do everything we can to assist you in this matter. Its too bad that your daughter doesn’t sound suitable to take care of her own child. Keep the faith Cindy! We look forward to speaking with you more about this and what can be done here. Also, we encourage you to read more of our posts on our blog to educate yourself on what to be prepared for and how to approach the situation. My Grandchildren moved in with me back in 2002 when my Grand-daughter was only 6 months old and Grandson was 3. Their mother kicked them & their Dad (my son) out to move her new boyfriend in. He later hung himself in their garage. My Grand-daughter is in start custody because of some things that happened with her Dad & then her mother stepping in. They were both with me until May 8, 2013. I just want her back. The Grandson is okay where he’s at but the Grand-daughter is in a girls home in Lawrence Kansas because she kept running away from foster homes. She would call me wanting me to come get her. what are my rights here in Kansas as to getting her back in my home with me? We’re not a law firm so we cant give you any legal advice, but general information what can be done. If the state is involved at this point you will want to seek help from an actual attorney in your area. Foster care and CPS issues are complicated. The good thing is, and if you have proof, they have been living with you for many years. This can really help with getting the state on your side. Talk with a local family attorney and ask them if you have a strong case with minimal complications due to your grandchildren actually residing with you for over 10 years. Many attorneys will give free consultations so this information should be easy to attain. If they say you have a solid chance, we most likely can help you get into to court to ask the judge for guardianship. We have court ordered grandparent visitation with our grandchild in Illinois. However, since birth the child has lived with us. The parents were never married and the mother receives child support from the father. (None is used on the child). Both parents are residing in Indiana. We ended up filing for grandparent visitation after the mother removed the child from our home in a snit and wouldn’t let us see him and we met all of the criteria for Illinois. Immediately after the entry of the Order, the child was back with us 24/7. It’s now been a year and we can see the drama starting up again. We have decided that filing for guardianship may be our only option in order to protect this child (now 4 years old) and to save our sanity. Financially we manage but the cost of hiring an attorney again is going to really hurt us. We are not elderly or on a fixed income and it doesn’t appear that Legal Aid would help us. Where else can we turn for help? You have a classic guardianship scenario here. Sounds like you have done everything right up unto this point with caring for your grandchild and getting visitation rights established. Keep in mind we are not a law firm so do not consider any of this legal advice, but general information. Based on what you mentioned, grandparents who are in your similar situation are in great standings to ask a judge for guardianship. This is due to you caring and raising the child in your home since birth, obtaining grandparent visitation and than receiving the child back into your care, as long as you can prove all this (which it sounds like you are able to effectively) its just a matter of getting into court again and making the request for a judge to sign off on it. We certainly help out with this frequently, most grandparents do not have a situation as smooth as yours, and we’re able to assist them get guardianship. With any kind of family court matter, the most important item to prepare are the court documents and submitting a reasonable request that is in the best interest of the child or children. This is what we help parents and grandparent drive home to be successful when they get to court. Hope this information helps and is encouraging. Think about how you want to proceed from here or if you have any other questions. If you’d like to talk more in detail about the process of our full service, feel free to contact us at http://www.aboutthechildren.org and you can be connected with a parent advocate. Thank you for your questions Pat. My daughter brought my grandson to me and asked me to take care of him because she could not. He lived with me for a year. I filed for custody, but the case was dismissed because I couldn’t have her ex boyfriend ( who she listed as the father on the birth certificate after only knowing him for a couple of months) served. My daughter only saw her son a handful of times in that year. She refused to help support him. When I asked her to help, she would threaten to give him up for adoption. Even before he came to live with me, I saw my grandson almost every day. Last December, my daughter started threatening that she would have me arrested for kidnapping. Because I refused to drive 45 minutes to bring my grandson to see her. She had started telling my grandson over the phone that his grandma was going to jail. I had never refused to let her see him up until this. When we were living 5 minutes away, she had only come to see him a couple of times in more than 3 months. In January, she grabbed him from my car in a drive thru. She refused to bring him home or let me see him. She has now taken him to live in Texas. I have not been allowed to see or talk to him since the day she took him. I just want to make sure he is ok. I want to be in his life and let him know I didn’t abandon or forget about him. Please let me know what my options are. I miss him so much. This is an issue that a lot of grandparents are up against and we are well versed in helping grandparents become more involved in their grand children’s lives. It sounds like you genuinely want to be there for the child and have their best interests at heart and if you bring this issue in front of a judge, that’s what they want to see. In any family legal situation, it’s important to get all the facts in order before you start making any decisions. You need to build up your case and make sure you have a strong argument to bring to the court room if you are seeking to establish a legally binding court order regarding your grandchild. As a grandparent you do have options and it’s important to know what they are. Our company can help you get your story in front of the judge. Please call or e-mail us in order to see if we can help you or point you in the right direction. Thank you, we look forward to assisting you with this important family issue. I live in the State of Ohio. I had filed a motion for emergency custody of my granddaughter 2 1/2 years ago. I was granted temporary custody then custody remained vested with me at the final hearing. Both parents of the child were both drug abusers, arrested for various crimes and now the father is in prison and the mother is living 3 states away claiming she is “all better” now and has requested that I return the child to her at this time. I have no intentions of doing this and told her that she would have to go thru the courts with whatever it was she intended to do. The minor child involved is 5 years old, is attending school, is involved in sports, dance and has a very balanced life. I’ve done everything I can to make her life as normal as other children residing with both their parents. At the time of the hearing I personally requested that the father (my son) be entitled to reasonable parenting time as agreed upon by myself and that the mother be entitled to parenting time at my discretion at an agreed location under constant supervision. i have been the primary caretaker of this child since she was was 1 year old. She has resided in my home permanently since she was 2. Could you please give me any advise of what the chances are that the order that has been in effect for over 2 1/2 years could be modified or changed and any helpful information that I may be able to use on my behalf to keep the mother from uprooting this minor child and moving her 3 states away. Thank you in advance! Hello thank you for finding our blog and asking such a great question about your issue. Unfortunately, we are unable to assist Ohio residents but there is plenty of information available to the general public concerning matters like yours. Keep in mind that About The Children is not a law firm and we can’t give you legal advice, but you don’t need legal advice to get an issue such as this resolved. Essentially what you need to do is get enough evidence together to show the courts that you or the father is looking out for the best interests of the child in question. Children need stability in their lives and this starts at home. Moving kids around at young ages doesn’t let them get comfortable with their surroundings and it can make it difficult for them to make friends and enjoy what most of us would call a “normal” childhood. Please continue to follow our blog for more information that may be helpful with you issue. We wish you best of success with this. Thank you. a black man my son wanted to marry her. But she walked away and he would try going to Dr app she would make a seen an would not talk to him. Months later my son received mail from her lawyer and court ‘ She had left Virginia and went to Florida to put his baby and my grand baby up for adoption. My son could not afford a lawyer to help him fight it but he let them now in a letter he did not want his child adopted he and I could rasise her. In the papers sent to my son stated their was no grand parent, After baby was born she came back to Va and went back to her old job. Thiis was six years ago when my son contacts the agency they would send pictures last year my son was told she got married an had 2 other kids and that she passed away. This time he got no reply from the agency can I contact them do I have any rights? Hi Sandra, thanks for writing to us. Unfortunately, we don’t handle issues concerning adoptions. It does look like, however, that your son wants to be involved in his child’s life and that he was taking the right steps. There might be some kind of legal action your son could take concerning this issue but he would most likely need to find some kind of legal council to find out what his rights are and how he can exercise them. Please continue to follow our blog for more articles on parental rights and parenting tips. Thank you and good luck. Hello Jillana, thanks for writing to us. This is very unfortunate situation and unfortunately, more common place than you would think. It’s not unheard of for inter-family politics to get messy with this kind of thing. Going to court over this issue and obtaining a court order saying that you have primary custody of your child is the best way to get something enforced that that you can’t be taken advantage of again. The most important thing to do, in any family court situation, is to keep calm and act rationally. It’s easy to get overwhelmed and exacerbate the situation when we’re emotionally compromised. But we’re human, it happens. You’ve already done the hard part and stuck your feelers out there to see what kind of help is available to you, and we commend you for this. If you’d like to discuss your options with a representative in our company, please call or e-mail to get started. Also, browse through the archives of the blog for any related material that may help you along this path. Hi Jody, this is an important issue and a great question. Just to let you know, we’re not a law firm and can’t give you legal advice. The bottom line is this though, if you have an official agreement between you and the mother of the children, and it’s being broken, getting this in front of a judge is important to maintain the balance that was originally worked out with the agreement you made before. Getting a court order signed by a judge is the best way to make sure this doesn’t happen again. Give us a call so we can discuss your options. Thank you. I am a grandparent in California with a 17 year old granddaughter in Arizona soon to be moving to Virginia and she does not want to move with her family. They lived in Ca. but her dad (not her biological father) is in the service and has been verbally and physically abusive to her, her entire life and of course there has not been any record of this. He is scheduled to move to Virginia this year and she does not want to move and would love to come live with me in California. What can I do to bring her to live with me? I am desperate! Hello Sally, this is a very common issue that parents have and we help with this frequently. Taking the issue into court is one of your options here. Essentially you want to show the judge that your daughter’s best interests are being upheld with you instead of her Dad in Virginia. A court order signed by a judge will make things official in terms of who she lives with and who has custody. Keep following the blog for more helpful information and call us to speak with a representative who can tell you how we can help you. Thanks for writing to us, we look forward to hearing from you. Hey Albina, excellent question. In some cases, grandparents have the opportunity to get custody rights to their children. It is also dependent on the particular state that you live in as well. Some states recognize grandparent rights, other don’t. It sounds like you have a stable place for your grandchild to come live in and that you have their best interests in mind, which is the most important thing and that’s what the judge wants to see if you were to take this to court. We can help you with this issue. Give us a call to talk to a representative about your options. LOUISIANA CASE – My daughter married her husband in 2010 in a private ceremony with only me (her mother) and no other family members. During the course of their marriage, she was not very well acquainted with her mother-in-law or her husband’s family. They were living separate and apart for the last couple of years of their marriage and continued to have little or no contact with her mother-in-law. In 2012, she gave birth to a son. His family (or husband) was not present for the birth and have not seen my grandson more than once or twice while she and her husband were visiting family during holiday gatherings. In September, 2013, her husband was killed in a motorcycle accident. On the first visit that she took the baby to see her husband’s mother at her workplace, she refused to give my daughter her baby back until the police were called. My daughter’s mother-in-law saw her grandson at the hospital while they were involved in the care and death of her husband (child’s dad). In short, I (her mother) ended up paying for funeral expenses for her husband (no insurance, job, etc.) and the his family did not attend. This was a conflict between daughter and mother-in-law due to differences of opinion on cremation or burial. Four months have passed and the mother-in-law has sued my daughter for grandparent visitation in Louisiana. The mother-in-law has a criminal charge in her past, no longer has a home and living with her daughter and may be working as a waitress. The father’s rights were terminated with the first grandchild (not my daughter’s child, but a child from a previous relationship) due to charges of sexual conduct and unfit conditions while in the home with his mother. Part of the charges were because the mother was there and did nothing to stop the behavior. She has threatened my daughter with ugly text messages since the death of her son and threatens that “you will be hearing from me again”. I suppose she had this plan all along. My daughter is a great mother, doesn’t drink, smoke or do drugs, has a job and is going to school to become a midwife. I am helping her financially since she is in school and making a meager salary as a midwife apprentice. There are more details to prove no relationship between the mother-in-law and my daughter or her child, such as not one picture taken with the grandmother or any effort made by her to see the child prior to filing suit. She totally ignored my daughter at the hospital for any decision making for her son. My daughter gave up her right to her for medical decisions. She did not want to be held responsible for decisions to keep peace. What are the chances that she will be successful? We have read the law and the Judge should take into consideration the relationship that exists between the petitioner and the child as well as the relationship between my daughter and her. They are also suppose to consider the benefit this relationship would bring to the child as well as what is in the best interest of the child. This 2 year old has never been around any of that family and it would be traumatic if he were to be picked up and taken to an unfamiliar place. They live about 2 hours apart. Hi Angela, this is a very common question that a lot of parents ask for these kinds of issues. When it comes to question of whether or not a case will be “successful” that is entirely dependent on the facts of the situation. There are no guarantees in the court room. If you would like help preparing the right documents to file for something like this, please contact us and continue to follow our blog for more useful tips for family court issues such as the one you are experiencing. My husband and I have temporary guardianship of my oldest grandson since he was just a year old, he is now 5 years old. His mother was only 15 when he had him and was always getting into trouble. When child services threatened to take him away from her they told us to file for guardianship to avoid him being put into foster care. So we did. My daughter has two other boys now, all with different fathers, who are either not in the picture at all or are in prison. She finally met a nice young man but he is moving them to Missouri, we currently live in Oregon. She is telling my grandson, her oldest son whom we have guardianship over, that he will be living with her once they get a place of their own. This breaks my heart and my husbands, this is the only home he is secure with, he is in preschool and has a great pediatrician here. His uncle and aunts all live here and he has a great daycare provider while we are at work. She just met the guy about 9 months ago online, he has a son himself back in Missouri and they will all be living with his parents. With legal temporary guardianship, do I have to worry at this point about my daughter taking my grandson now??? My heart is breaking because she keeps talking to him about the move and he keeps telling me he is moving, but he thinks we can just swing by to visit all the time, he doesn’t realize the distance and that that’s not how it will be. Hello Kathryn, the time grandparents get to spend with their grandchildren is very special and this is a legitimate concern that a lot of grandparents have, we’re glad you wrote to us about this. Distance between families is becoming more and more of an issue as people spread out across the country for work or a new partner in life, which seems to be the case in your particular situation. Enforcing grandparent rights varies from state to state but in some cases you do have options. Please contact one of our representatives to discuss what you can do about this. Thanks for writing to us and please keep reading new articles for more helpful tips for these kinds of issues. long story short. I have legal custody of my 4 year grandson sense he was 8 months old. My daughter and the possible father at the time signed him over do to not being able to care for him. That man was proven not to be the father.however my daughter did marry the dad. they have been married 4 years. 2 years ago i moved out of the state where my daughter lives, I did move with my grandson, and West Virginia pushed Ohio (where custody hearing was held) for Child Support, My daughter and her husband went to court ( order was against Daughter Only) no father is listed on his birth certificate, and made a judgement for monthly child support and a lump sum for back support. This has in infuriated the father to the point, they moving out of his dads house, into an income based housing, and he stated that sense he did not sign anything, he is fighting for custody so he doesn’t have to pay any support. from what I have read, theres not much I can do, that placement with natural parents is first and foremost. neither one works, or have ever financially helped, nor have I asked. I have him in a private school and he is doing well., after raising him all his life, and knowing they only reason they want him is so they are not having to pay, the man already told people once he has him, I will never be able to see him again. and I do believe it. Thanks for writing to us, this is an issue that’s really important. If the parents are seeking custody of the child for no other reason than to avoid paying child support, you need to document this somehow so in the event that you do go to court, you have something back up your claim that they don’t have the child’s best interests at heart. It sounds like you’re the primary care giver for this child and have been for the majority of their life; this is an important part of your argument. Give us a call so you can talk to one of our staff members about how we can get you started. Thanks for reaching out to us. I didnt sign anything? And can I get custody of him again? How did I lose custody? She also stated custody pending adoption. Yes I mafe a mistake going to jail once, but can she really get him for good. Hi Alexandra, you’ve got a lot of good questions that need to be answered. While we’re not a law firm and can’t give you any official legal advice, the good news is that you can represent yourself in family court and get the issue resolved, that’s what we help people do. As long as you didn’t sign anything, custody wasn’t officially taken away from you or anything like that, odds are you have a legal right to the child but you should speak to a legal professional about what those rights actually are. If you’re prepared to go to court, we can help you get the right documentation together to put your story in the judges hands. Please call us to see what we can do for you. Hello, this is a good questions that we don’t get very often but I’m glad that you’re being proactive about changing your situation. Unfortunately, as a minor, there’s not much for you to do other than help support your grandparents if they want to fight for custody. Any proof they can bring to the table showing the judge that your mom is trying to slander you and create trouble for you unnecessarily will help out their case a lot as well. You might even want to write a letter to the judge to be presented during the hearing. You and your grandparents might also want to contact a lawyer who can give you some legal advice on the issue, something that we cannot do because we’re not a law firm. However, we can help you guys get the right documents to file if you choose to go to court over the issue. Have your grandparents give us a call to see how we can help you with this issue. Thanks for writing to us about your family legal issue. My daughter’s grandmother has been in our house every day since my daughter was born and all she does is cause problems. Can I get a restraining order on her, or atleast set up certain times the grandmother can come to my house to see my daughter? Hi Richard, thanks for writing to us. As a company, we don’t specialize is obtaining restraining orders. We help people start the process of seeking custody or visitation of their children or go through a divorce by preparing the right documents. Without giving you any legal advice however, I would say that it really is up to you who comes into your home. If they are causing problems, it might be as simple as telling them they are causing problems and asking them to leave. Obviously you don’t want to exclude the grandparent from the child’s life but if they are a negative influence or are causing a lot of undue stress in yours and the child’s life, you need to do something about it. Going to court should really be a last resort. Most of the time people are pretty reasonable if you just approach the matter in the right way. Thanks for writing to us. my daughter died from stage 4 cancer in 2011, and my son inlaw, took,my grandkids and moved to sc. he has since remarried, and my wife and i have had been allowed little or no contact with our grand children.. we have skeyed with them about 6 months ago,. my soninlaw told me that he was leaving it up to a child who at the time was 11 yrs old and has adhd. there are two other children invovled in this as well. when we approched my son in law about us talkign to the children, we were told by his new wife that, teh children are on punishment , and no electronics are allowed for the children. and this 11 yr old was allowed to have say if we were to talk to teh other children, the we lived all in teh same house, before they moved and infact we were constantly watching the children. , now its been like 6 montsh since we had any contact with our grand children at all. and we get told we cant talk to them cauz they are on punishment. the internet is the only way we had to stay in touch,. teh children have been on computers, and x box, yet arent allowed to talk to us? what can we do about gettign commucation with our grand kids? we live in new york. and teh soninlaw will not give us his number to call the children. Hi Lyle, thanks for writing to us, you have some good questions. Keep in mind that we are not a law firm and can’t give you any legal advice but we can help prepare the documents you would need to file for an issue like this. It’s incredibly important for a grandparent to be involved in a child’s life and you’re trying to do the right thing. It sounds like your son in law is giving you some trouble on this front. Grandparent’s rights vary from state to state, some recognize them while others do not. Please give us a call so you can speak to a representative to see if we can help you with your particular issue. Hello, thank you for writing to us. The most important thing to think about it is whether or not the child’s best interests and if they are being put to the front of the line. From your description, it sounds like your daughter would benefit from some form of counseling in terms of her outbursts. Filing against your own child is an extremely tough choice to make. You need to weigh all the factors in the situation and make an informed and educated decision. Ask yourself, is the child in a safe environment? Do they display any negative behavior that may be a result of the interactions the mother has with the father of the child? Keep in mind that parents fighting can put a lot of undue stress on a child and cause them to develop negative tendencies, there have been many studies on this such as the Bobo Doll test at Stanford in the 1960’s; children will exhibit the behavior that they see. Some states do not recognize grandparents rights, if you’d like to explore this option, please give us a call so you can speak to a representative about your situation so that we can determine what, if anything, we can do for you. Thank you, we look forward to assisting you with your family court issue. It can be very frustrating when this happens. We don’t know why judges make certain decisions. Depending on the circumstances and the time spent with your grandchild, this has a big impact on how the courts decide who will care for the child when both parents get their rights terminated. Hey Kala, thanks for writing to us, this is an important issue that a lot of new parents experience every day across America. It sounds like you’re unsure if the grandmother has custody or not. If this is the case then it’s a matter of petitioning the court for custody. We can’t give you any legal advice but in family court what really matters is what’s on paper and what the judge can see for himself. It’s not unheard of for grandparents to bully parents out of their relationship with the kids and it’s in situations like these that you need to do something before things go any further. Getting a court order signed by a judge is really the best way to not only enforce your rights, but to protect them as well. Please contact us to speak to a staff member to see if you qualify for a services. We can help you get the right papers to get your story into the judges hands. Hello Lupe, thanks for writing to us. We’re not a law firm so we can’t give you any advice on whats rights the father has. We specialize in preparing court documents for custody or visitation. If you’d like to petition the court for visitation rights for your grandchildren, we can prepare what you need to file for such a case. Please get in contact with us and speak to a representative and see if you’re qualified to make use of our services. Thank you again, we look forward to hearing from you. Hello, My Husband just found out 5 days ago his daughter is in CPS custody, she has been there since nov of 2013- state of ca….We live in Nevada, court hearing next month. we want to gain custody of his daughter, but I have two major concerns 1) my husband is special needs 2) the ex-girl friend mother plans to show up with lawyers, and fight for custody…there is a trial next month against the mother due to her and her husband abuse toward the child. CPS asked my husband to be there, so we are going hopping that we will return home with his daughter, but I don’t know…..what do you guys thank. Hey there Tracy. We won’t sugar coat it for you, CPS cases are difficult. However, there’s always another option to try if you do your homework. We can’t give you legal advice because we’re not a law firm. But I will say that it’s a good thing that Child Protective Services is on your husbands side. It’s also great that you’re reaching out to online forums for information, you’ll be able to connect with hundreds of other parents that have gone through something like this. Here is a link to the Nevada CPS website. It would be a good idea to talk or even meet with someone from their office and get some information or guidance. We wish you and your husband success in the coming case. Thanks for writing to us. hello i am a grandparent of a 5 year old boy and i am one of the grandparents that was removed from seeing the child, and i am one of the grandparents that stood up and went after the visitation. MY RIGHTS. now i can honestly say that it was a battle and a nightmare but i stood proud but i did not win the visitation, i WON TOTAL GUARDIANSHIP OF MY GRANDSON. YES THIS CAN BE DONE. i knew that i already lost seeing him and had nothing else to lose so i went after my rights..SO CAN YOU. they are worth it. i had the help from atc and they will help you as well. I AM HAPPY NOW THAT I WON THE GUARDIANSHIP AND WISH OTHERS WOULD FIGHT THE GOOD FIGHT FOR THESE KIDS…. THIS CAN HAPPEN.. YOU CAN WIN .. JUST DO IT…. Hi Kim, nothing makes me happier than to hear about stories like this. You’re right, you CAN get your rights enforced and protected if you just stick to your guns and don’t falter in your course. Thank you for posting this so all our readers can see that there can be a happy ending to all the mess and heart ache that is experienced in family court. Keep following us and don’t hesitate to share more of your experience with us. We’d love to hear it and incorporate it into our posts and business. Cheers.